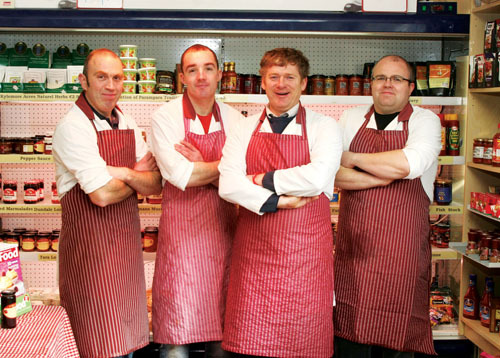 Seamus Bracken Butchers is marking 21 years in business in Mullingar this Saturday with a celebratory barbecue at their shop on the Tullamore Road. Members of the public are invited to come along between 12-4pm to sample the delicious pork ribs, burgers, sausages, and other delights on offer. Seamus has double the reason to celebrate, as he recently won two regional awards for his homemade sausages in the Associated Craft Butchers of Ireland Sausage and Pudding Competition - gold in the traditional sausage category and silver in the speciality sausage category for his Mullingar Lakeshore Chilli Sausage. To make sure you get the best value for money, Seamus has a number of bundles which offer fantastic value for money. For just €10 you can pick up two pork chops, two lamb chops, two chicken fillets, and two homemade burgers. Or alternatively you can get four chicken pieces, four BBQ ribs, four homemade burgers, and four sausages, also all for €10. If you’re cooking for larger groups, a €25 bundle could be for you - this includes 1lb rashers, 1lb sausages, one joint of bacon, a crown of chicken, four pork chops, and four gigot lamb chops. Seamus Bracken Butchers is open six days a week from 8am to 6.30pm on the Tullamore Road, Mullingar (beside O’Brien’s Centra ). Tel (044 ) 9342320. Come along and enjoy the barbecue this Saturday! All are welcome. A|wear double student discount for two weeks only! Hair-free is carefree thanks to Therapie! Seamus Bracken Butchers has winter all wrapped up!